Dr Mann, Imperial College London has identified an allosteric binding pocket, far removed from the ATP catalytic site, that offers a unique opportunity to selectively inhibit cdk2/cyclin E interactions. Utilising a fragment screen, selective, covalent small molecule inhibitors have been identified. 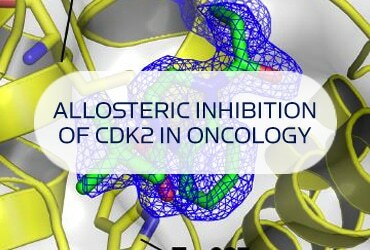 Cdk2 inhibition is an attractive therapeutic mechanism in cancer, although truly selective cdk2 inhibitors have been challenging to discover. Dr Mann’s findings offer this potential. Apollo and Dr. Mann are now collaborating to develop a discovery programme to build on these initial findings.